The United States and its allies cannot defeat the Islamic State simply by killing militants, said State Department spokeswoman Marie Harf, adding that it must target the underlying reasons people join the group, such as the lack of job opportunities. 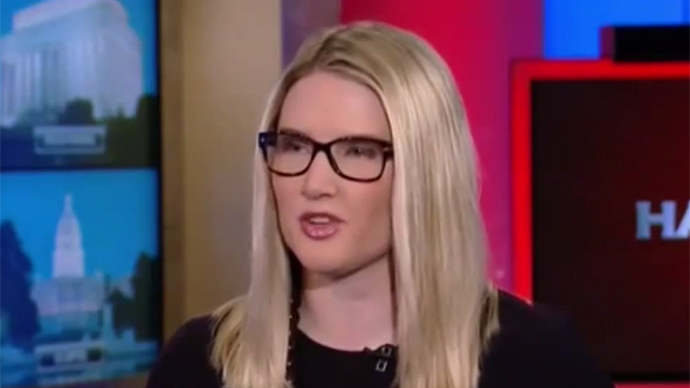 Harf made the comments during an interview with Chris Matthews on MSNBC’s ‘Hardball.’ She said that while the American-led coalition against the Islamic State (IS, also known as ISIS/ISIL) will continue battering militant strongholds in the Middle East, force will not be enough on its own. Matthews interrupted Harf at this point, arguing that world nations will never be able to put an end to poverty in our lifetimes, implying that such a strategy would never work. The statement, made by deputy spokeswoman Marie Harf on Chris Matthews’ Hardball on MSNBC, came after ISIS allegedly released a video showing the beheading of 21 Egyptian Coptic Christians. Matthews suggested to Harf that the purpose of the act was to humiliate the West. Earlier in the interview, Mathews asked what the next steps were following the news that 21 Egyptian Christians were recently beheaded and that ISIS was gaining momentum in Libya, a country that lies perilously close to Italy and, thus, Europe. Harf also mentioned that the White House is hosting a summit dedicated to countering violent extremism – one that will highlight domestic and international efforts to prevent militants and their supporter from committing acts of violence. Obama administration officials also revealed on Tuesday their own social media campaign as a counter measure to the slick production values and social media savvy of ISIS through a State Department entity created in 2009 – the Center for Strategic Counterterrorism Communications. The White House plans to announce expansion of the center “to harness all the existing attempts at counter messaging by much larger federal departments, including the Pentagon, Homeland Security and intelligence agencies.” Additionally, it will establish connections to help the team coordinate with foreign allies, NGOs and Islamic leaders opposed to ISIS.